A shooting in Maryland took the lives of five newspaper employees Thursday when a gunman opened fire at the Capital Gazette newspaper offices in the state's capital. The shooting has been described as a "targeted attack" by police investigators and the shooter has been identified as a 38-year-old Maryland resident named Jarrod Ramos. Deputy police chief of Anne Arundel County Bill Krampf said, "This person was prepared to shoot people. His intent was to cause harm." Ramos killed five people in the shooting and injured an additional two people suffered superficial wounds, possibly from broken glass. The shooter had disfigured his fingerprints to avoid identification but authorities determined his identity using facial recognization software. 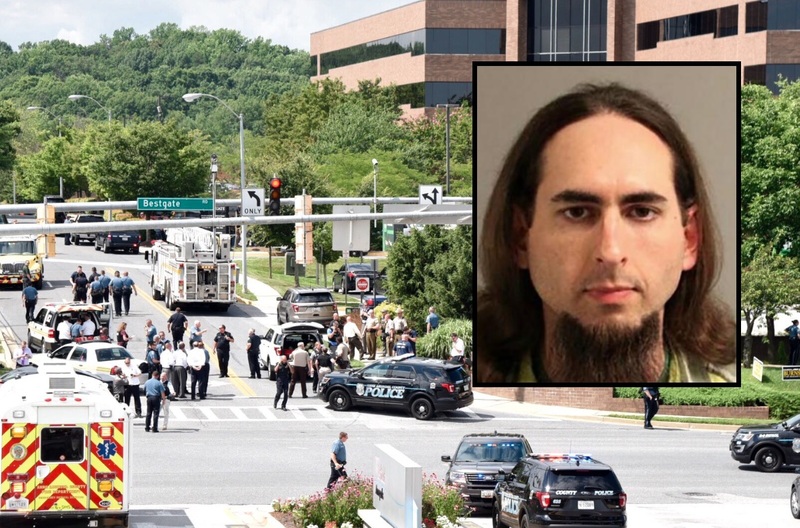 Investigators discovered Ramos sued the Capital Gazette for defamation in 2012 after the newspaper reported that he took a guilty plea in a criminal harassment case. The case was dismissed and an appeals court affirmed the dismissal. The police were notified around 2:40 p.m. of an active shooter, the gunman also used smoke grenades when he entered the building which had initially been identified as "possible explosive devices". Krampf also said, "He entered the building with a shotgun and he looked for his victims." A crime reporter for the newspaper named Phil Davis tweeted shortly after the shooting, "Gunman shot through the glass door to the office and opened fire on multiple employees. Can't say much more and don't want to declare anyone dead, but it's bad." Davis also tweeted: "There is nothing more terrifying than hearing multiple people get shot while you're under your desk and then hear the gunman reload." Davis later confirmed on Twitter that he was already to safety when he began tweeting and was currently waiting to be interviewed by law enforcement. Sadly, no one at the newspaper office seems to have been armed or were able to return fire. An employee of the Gazette who is believed to be an intern named Anthony Messenger tweeted during the shooting, "Active shooter 888 Bestgate please help us" in an apparent cry for help from anyone who could give it. Davis also said that he and other employees of the newspaper were hiding under desks when the gunman stopped shooting. "I don't know why. I don't know why he stopped," Davis said. Ramos did not exchange gunfire with police and was taken into custody. nope, another liberal "gun-free" zone.